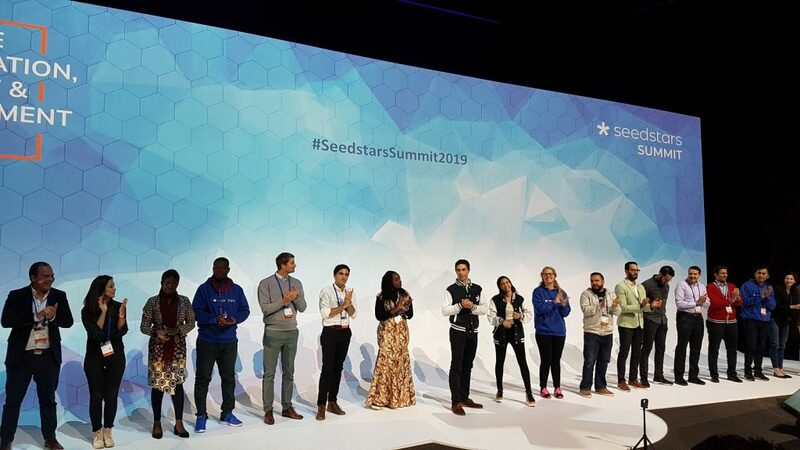 Three African startups are among 12 startups that have been selected by a panel to compete tomorrow (5 April) for the title of 2019 Seedstars Global Winner and up to $500 000 in equity investment. The announcement was made this evening at the SwissTech Convention Centre in Lausanne, Switzerland where the sixth annual Seedstars World Summit will take place tomorrow (5 April). Ventureburn is in attendance. The three African startups are Ghanian agritech Cowtribe, Kenyan fintech Bluewave and Rwandan fintech Benefactors. There were also four startups from Latin America chosen, three from the Middle East and two from Asia. The 12 were shortlisted out a list of startups from about 75 countries who were invited to attend the summit and which Seedstars had arrived at after spending a year and holding pitching sessions in about 80 cities. The 12 finalists will tomorrow each present two-minute pitches in front of a judging panel at the summit. Seedstars World chief investment officer Charlie Graham-Brown said 140 investors held over 350 scheduled one-to-one meetings with those startups that participated at the event, with about $15-million in potential investments pledged to startups. This was almost double the $8.8-million that was pledged at 484 meetings last year. Graham-Brown said the rain and snow today in a chilly Lausanne likely kept many investors away. Blended (Argentina): Blended improves communication between schools and families with simple technology. SmartCrowd (UAE): This digital real estate investment platform allows people to build a real-estate portfolio by acquiring fractional assets. BlueWave Insurance Agency (Kenya): Bluewave is an insurance startup in Kenya that is creating innovative mass market, micro insurance products accessible via mobile devices. Benefactors (Rwanda): This Rwandan factoring firm offers unsecured working capital products to small businesses. YNMO (Saudi Arabia): The startup allows service providers including schools, centres and clinics to design and monitor individual treatment plans. QuePlan.cl (Chile): This Chilean startup offers an online website that allows people to be informed, to compare and apply to health cover from insurance companies. Wobot (India): The amount of data that a CCTV generates each second is immense, Wobot helps businesses make sense of this data using a layer of artificial intelligence (AI) that is taught to do surveillance on behalf of the human eye. Joonaak (Cambodia): This logistics startup offers physical delivery and storage services while integrating technology to solve last mile issues and bring efficiency. Cowtribe (Ghana): Cowtribe is Africa’s first last mile animal vaccine delivery platform. Urban Point (Qatar): Urban Point leverages telco assets and distribution channels to increase customer loyalty through mobile-based incentives from businesses. RebajaTusCuentas.com (Peru): This startup acts as a financial advisor that helps people take better mortgage loan decisions and save in interest payments. Doctor Online (Guatemala): This platform provides remote access to doctors via chat or video conference through any device for the insurance industry. Featured image: Startup founders of the 12 finalists line up on today (4 April) ahead of the announcement of the 2018 Seedstars World winner tomorrow (Stephen Timm). Ventureburn is a guest of Seedstars at its annual world summit which takes place today (12 April 2018) in Lausanne, Switzerland.